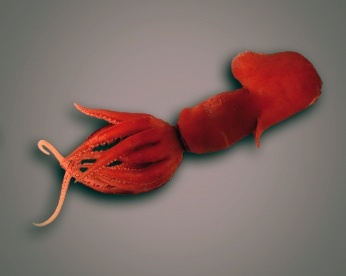 Dec 10 (IPS) – Incredible new forms of life have been discovered around super-hot 400 degree C seafloor vents, as well as under 700 metres of Antarctic ice, by the 20th scientific expedition of the Census of Marine Life of 2006 now underway. For the next few weeks, scientists aboard the German research icebreaker Polarstern will explore the Antarctic seafloor, which has been hidden by thick layer of ice for more than 5,000 years. It is an unprecedented opportunity brought about the unexpected collapse of the Larsen B ice shelf along the Antarctic Peninsula four years ago. Now 3,250 sq kms of sea floor is accessible. “Preliminary research shows there is a huge amount of diversity of life there,” said Ron O’Dor, a senior scientist with the Census of Marine Life (CoML). “This is our first chance to take a good look at a region no one has explored before,” O’Dor told IPS. The CoML is a global partnership of 2,000 scientists from 80 countries with a 10-year mandate to investigate life in the seas until 2010. Earlier CoML expeditions to the Antarctic have uncovered an astonishing community of marine life shrouded beneath 700 metres of ice — 200 kms from open water. “We’re finding more new species than known species,” O’Dor said. The great Southern Ocean is the least explored but perhaps the most important, as it is the link between all the other oceans of the world. Climate change is warming the Southern Ocean and ice is melting in many parts of the Antarctic. Census scientists are trying to determine how the warming will affect marine species in the region, O’Dor says. The Polarstern, the research flagship of the Alfred Wegener Institute for Polar and Marine Research in Bremerhaven, Germany, is the 20th Census expedition of 2006. It is also the first of 14 Antarctic expeditions being launched as part of the International Polar Year 2007-2008.